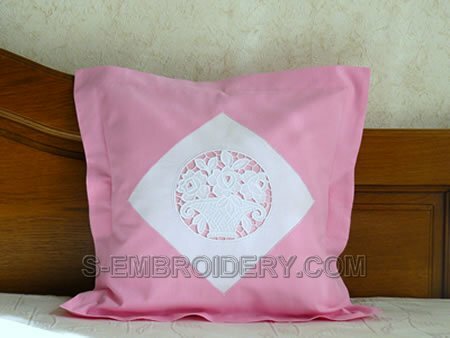 This flower basket with roses machine embroidery design in cutwork lace technique is available in 2 sizes. The smaller version will fit in 5x7 (130x180) hoops. 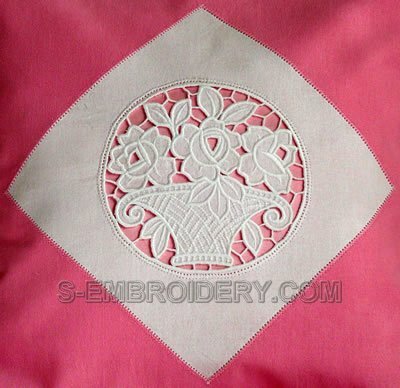 This roses cutwork lace embroidery will be a nice decoration for a pillow case, table cloth or other machine embroidery projects.